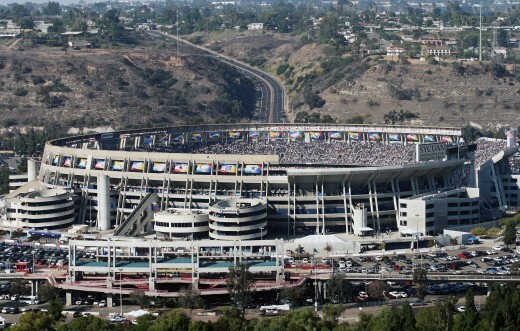 Qualcomm Stadium – Home to the San Diego Chargers! Fall is almost upon us and it begs the question: are you ready for some football? I know I am ready for Sundays and Mondays (and now Thursdays) full of excitement; cheers and jeers; and good friends accompanied with plenty of food and San Diego craft beer. Grab a bite and play some shuffleboard at McGregors before the game. 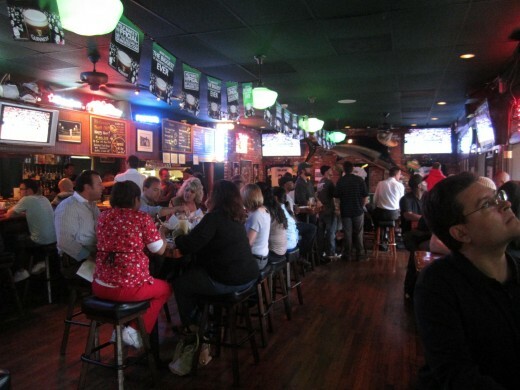 Just a 10 minute walk away from the Q, McGregor’s has one of the most ideal locations for a pre-game snack and drink. Inside you will find plenty of sports fans enjoying drinks, food, shuffleboard and watching games on the 20 high-def screens scattered throughout the bar. The menu has something for everyone including plenty of appetizers, burgers, sandwiches, soups and salads. McGregor’s has over 14 beers on tap and more in the bottle. They also have a full bar if you are looking for a “manly” Appletini before heading to the game. Tip: McGregor’s is like a traditional pub when it comes to ordering your food – food order and pick-ups happen at the bar. The waitresses are there to make sure your drinks are always full. Mmmm…pizza and beer at Oggi’s. Pizza and beer go together like football and Sundays. 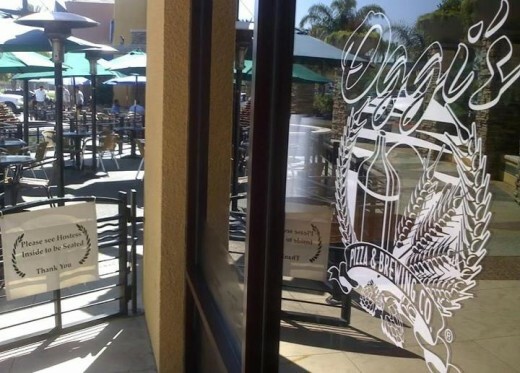 In addition to handcrafted-pizzas, Oggi’s offers a full menu, plenty of high-def televisions to watch the game, and delicious craft beer. Order a Torrey Pines IPA to cool down on a warm day and a Black Magic Stout to warm up on those cool fall afternoons. Tip: Take BOB (Board Our Bus) to the game from Oggi’s. Bus fare is $40 (no ticket) to $99-$119 (with ticket) and includes roundtrip transportation and food vouchers for Oggi’s. A ton of taps at the San Diego Brewing Company. Many, many moons ago, I sipped a San Diego Amber and was subsequently sucked into the wonderful world of San Diego craft beer and went home with my first growler. Since then, San Diego Brewing Company (SDBC) has become a go-to place because of its dedicated bar area separate from the more traditional dining area and plenty of high-def televisions. Families can enjoy a comfortable sit down dinner while the guys enjoy the game in the bar. SDBC’s menu includes appetizers (try the Russian-Roulette Wings Platter, one wing is super hot! ), salads, soups, burgers, sandwiches and more. The tap list is even more impressive with over 43 beers including between 8-10 SDBC beers brewed on site. Tip: It is possible to walk from SDBC to the Q, just give yourself about 30 minutes. The Gordon Biersch patio is waiting for Chargers fans. 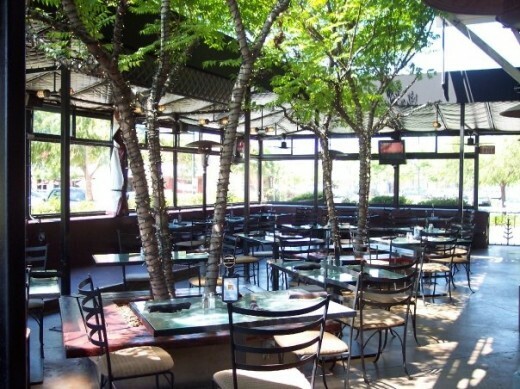 Gordon Biersch is a great spot for a more relaxed dining experience away from the crowds. The menu is a bit more upscale with seafood options including Seared Tuna, Cedar Plank Salmon and Shrimp Mac ‘n Cheese. They also offer plenty of mouth-watering appetizers, New York Strip steak, pasta dishes, sweet desserts and a vegetarian menu. Don’t forget to order one of their German inspired lagers to complement your barbecued salmon entree! Tip: On game day, Gordon Biersch offers a bus to and from Qualcomm for only $10. The ticket also includes 2 beers. The bus leaves 1.5 hours before the game and picks up 30 minutes after the game has ended. 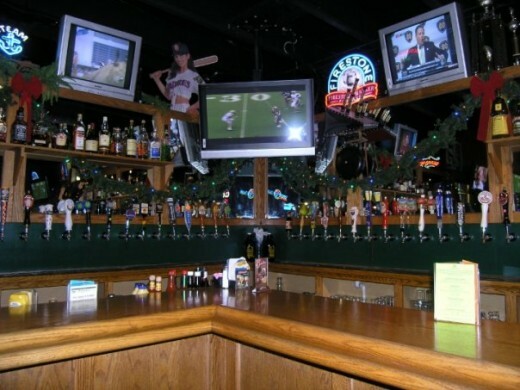 Got a place you like to go for some grub and drinks before heading to the Q? Let us and others know in the comments below. This entry was posted in Culinary, Golf & Sports, Insider Tips and tagged aztecs, beer, chargers, food, football, San Diego by Brent Bernasconi. Bookmark the permalink.